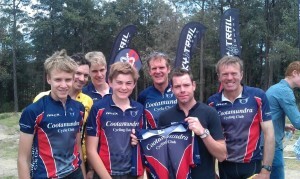 The Cootamundra Cycle Club was founded in 1895 and is one of the oldest continual clubs in NSW. The club continues to attract good membership numbers today. Read more about our Club. This website will bring you news and information relevant to our Club. Send an email to join our mailing list or check the News section for updates. Maps and info on weekly rides, plus details (and maps) for Club Races, Open Races, Interclub Races. Our Club has a large contingent of keen mountain bikers. Find out about weekly rides. Catering for cyclists of any age and ability. See ride rules, local courses, weekly rides and BUG contacts.